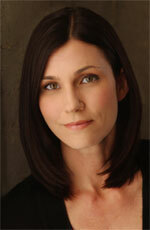 Andrea Gressinger is consistently in the Top 1% of All Keller Williams Agents Nationally! There are many qualities and skills that go into being an excellent real estate professional – integrity, in-depth community and market knowledge, marketing savvy, effective superior negotiation skills and a high-quality professional network, all of which are hallmarks of how we work. That said, in our experience as a Westside real estate professionals, we’ve also found that providing the very best service is essentially about putting our clients first. This means keeping ourselves accessible, being good listeners as well as good communicators, and responding quickly to your needs. So when you decide that you’d like to buy or sell a home on the Westside, please contact us. It all started with a single real estate purchase in 2002. Since then, Andrea has bought, renovated and sold her own homes, plus renovated and sold multiple investment properties. Drawing upon first-hand experience, she creates a highly tailored approach when it comes to helping her clients; which can include remodeling, financing options, investment strategies, home staging and customized marketing. This tailored approach has earned her numerous awards and referrals from past clients, leading to consistent sales growth. By listening to her clients, focusing on their goals and applying her knowledge and expertise, she helps them achieve their dreams. It all comes down to getting the job done well and making sure her clients are empowered to make good decisions. Based on the Westside of Los Angeles, Andrea has a passion for community involvement and volunteerism. Each year, she invites members of the community to her office for an annual blood drive with the Red Cross. She is a Santa Monica Rotary Club member and acting Chairperson for the Annual Food and Wine Festival; proceeds of which go to a variety of charitable causes. She is a longtime supporter of the Friendly Hand Foundation, a nonprofit that helps women in need reclaim their lives and actively involved with the Los Angeles Food Bank. Andrea is driven to help others succeed by sharing her knowledge, talents, and resources. With this principle the guiding force of her business and life, The Gressinger Group continues to thrive. Find our what Andrea’s clients think about her by reading the testimonials. myleshaguy@gmail.com Mylyn Haguy|Executive Assistant & Transaction Coordinator Mylyn is the Executive Assistant and Transaction Coordinator to Andrea Gressinger and the Gressinger Group. 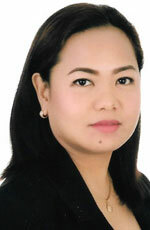 She graduated from Saint Louis University in Baguio City, Philippines with degrees in Commerce and Marketing. Mylyn has worked in real estate since 2005 and with the Gressinger Group since 2013. With her extensive experience in the real estate transaction process and customer service, Mylyn is a vital team member who’s committed to providing our clients with a smooth escrow process. Mylyn oversees the extensive paperwork, provides client updates, and is available to answer questions to ensure complete customer satisfaction.